I have had several orange dialed big size vintage Heuer diver watches. I like them a lot. I recently saw a sad looking ref. 980.007 listed on Ebay with a very worn bezel. The seller listed it as in need for repair. This seemed like a perfect project for me. Sellers picture. Bad bezel and the hands needed some lume. I started the hunt for a new bezel. They are almost impossible to find. 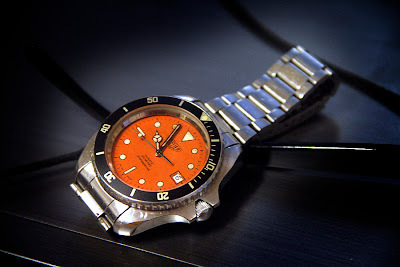 Again I was lucky and found a NOS Olma diver case complete with bezel. 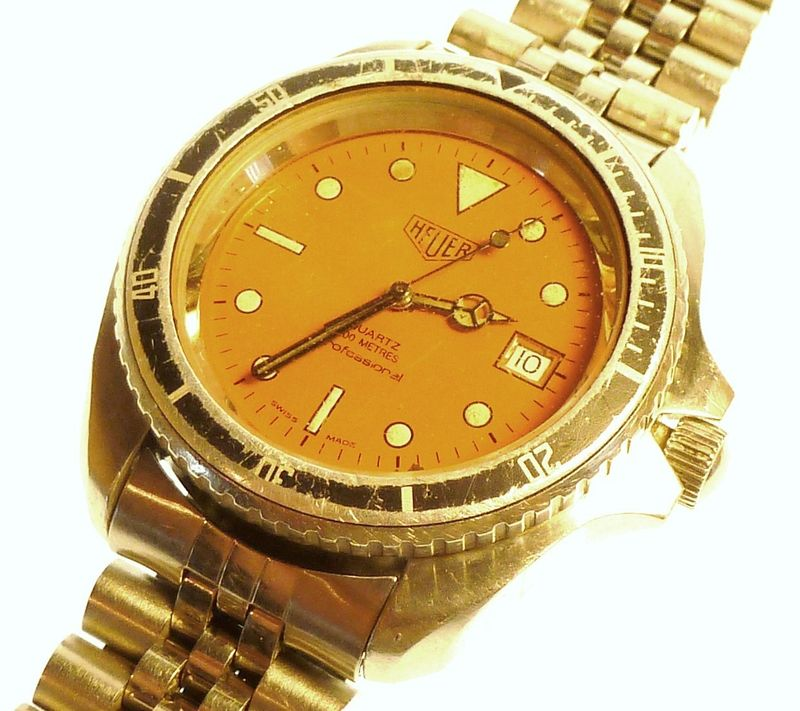 This Olma watch used the exact same case and bezel as Heuer. A deal was done, and I had a NOS bezel for my sad looking 980.007. After some TLC, new bezel insert, relumed hands and a Heuer signed oyster bracelet. I am very happy with the result. I love to give tired Heuers a new life. You should post more frequently. Your Heuer stories hold a special place for me; my very first "real" watch, purchased when I was 17, in 1988, was a plastic (sorry "fiberglass" according to Heuer marketing :)) Heuer formula one quartz. 24 years, 15+ bands, a new bezel and and a new crystal later it still runs flawlessly, and the tritium is brighter than my IWC, which retailed for 40x the price. Keep up the posts!